What is CPA marketing & How to get into CPA network? Today I am going to share my views on CPA Marketing and CPA Network Companies. If you don’t already know about it than let me explain in simple words. The company owner approaches to CPA network company to generate leads etc and settle a deal, the company than ask its affiliates to promote the product and get a commission whenever someone (general public) completes an action. There are many CPA networks available you can chose to be a part of but it is not easy to join a CPA network company as they are very selective while choosing an affiliate as they don’t want bad affiliates or they don’t want to send bad leads to their merchants. Getting into the CPA Network: You need to apply to get into any CPA network company. It is simple as filling a form online, providing all information regarding yourself, your online experience and your earnings etc. As said, they are very hesitant in choosing an affiliate because there are lot of scammers out there in this online world who tries to cheat CPA companies. So the chances of newbies are quite less but still there are CPA companies like “Peerfly” which accepts newbies into their network. If you have your own domain, use email ID on your name like I had used my personal email which is shaishav (at) futurevisionaffiliates (dot) com. It put more impact. Once you submit your application, it will be reviewed by the affiliate managers and once reviewed, they will give you a call but here it will be better if you can call them first before they do. This way there is a good chance of getting accepted into the company. Basically, all the network companies check if the person is real and are able to spend nominal amount on advertising to promote offers or not. 1. What is your experience with CPA? My Answer: I clearly told them that I didn’t promoted any CPA before but I do have do have experience working with many other companies like clikcbank, amazon etc and had good success promoting their offers. 2. How do you plan to promote our offers? My Answer: I use both paid and free traffic generation methods to promote my current offers and will use the same methods to promote CPA offers. Mostly I use email marketing, article marketing, PPC, video marketing etc. 3. What kind of offer you will run? My Answer: it is hard to tell and depends entirely on the offer available with the company but still I like to promote make money online offers. 4. How much would I plan to spend? And after say 15-20 mins. talk, I got a message in my mail that I got accepted into NEVERBLUE CPA Network comapny. See you need to be very realistic while answering questions asked by affiliate managers. Don’t make them feel that you are not a real person and just boasting about things you haven’t done. 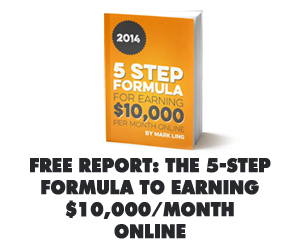 The list is huge but you can start with the first three and once accepted, generate some income with them. Later you can apply with other networks if you wish…. 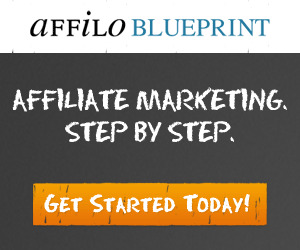 Well, there is no specific answer to the question as it solely depends upon affiliate to affiliate and offer to offer. Few makes very good income in it and few nothing. I can say that the person who is a good thinker or thinks out of the box will definitely makes money with CPA offers. The offers vary from few cents to dollars. One offer might give you $1.40 and other might give you $30. Once you join CPA network, you will learn more about it…Just see a sneak peak to my CPA backoffice…. You just need to learn these 3 things in affiliate marketing and rest all is just extra information.